The City of Barrett lies along the Pomme De Terre river which flows through beautiful Barrett Lake and is located in Grant County in west central Minnesota. 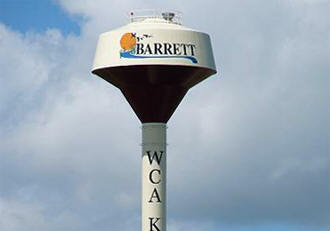 Barrett is famous for its community atmosphere. It has a variety of recreational areas, vibrant organizations, and dedicated businesses which make Barrett what it is: The little town with big dreams! 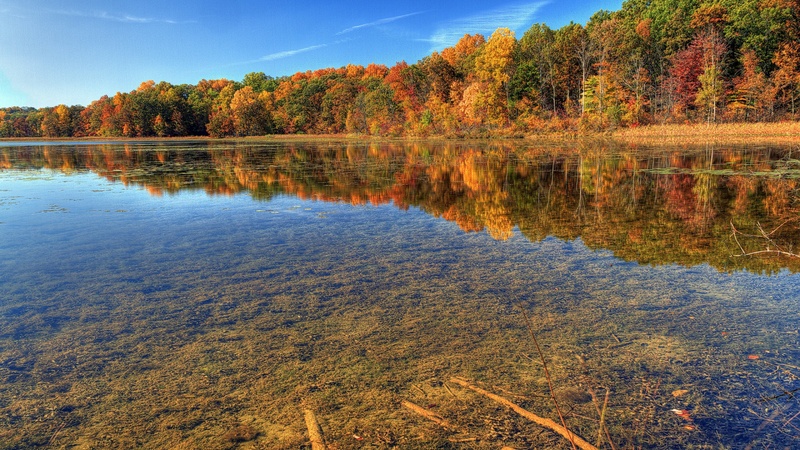 One of our great recreational areas is Barrett Lake. 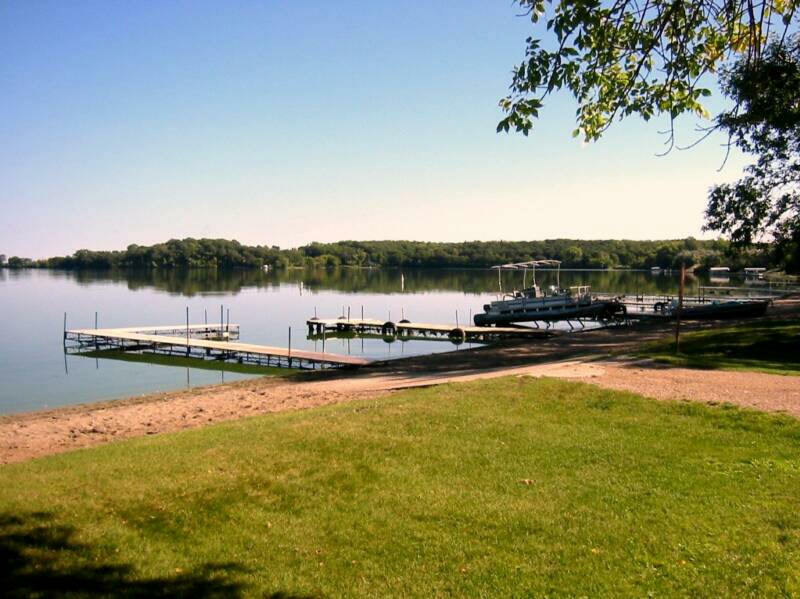 Barrett Lake features two public accesses, a public beach, a fishing pier, and the Barrett Lake Resort & Campground. A new bridge and dam were recently installed with a fish ladder leading to the lake. Barrett Lake has excellent fishing year around and the recreational possibilities on Barrett Lake are endless. 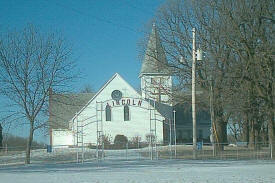 Barrett is famous for its historic buildings. Have an event you want held at a one of a kind location? Why not try the Historic Barrett Lakeside Pavilion. The community of Barrett has been working hard to restore and renovate this treasure. The Lakeside Pavilion is owned by the City of Barrett and is available for rent. Or maybe you just want some entertainment. Pay a visit to the Historic Roosevelt Hall, home of Prairie Wind Players, who offer a full season of plays, concerts, including dinner theaters. 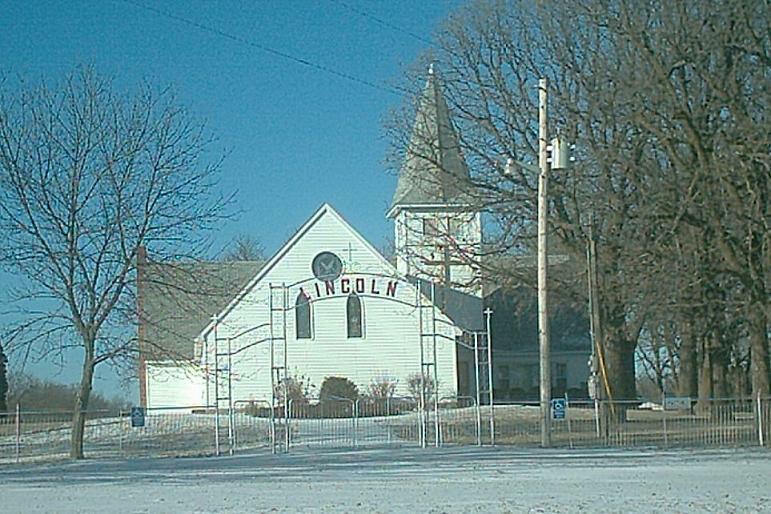 Barrett is a city in Grant County, Minnesota. 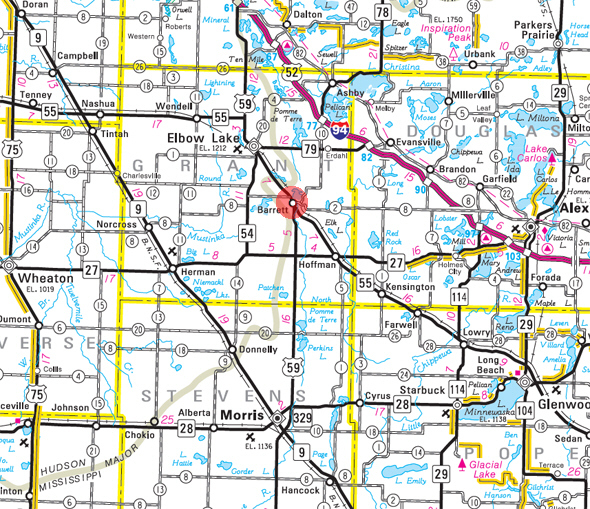 US Highway 59 and Minnesota State Highway 55 are major routes in the community. According to the United States Census Bureau, the city has a total area of 2.11 square miles (5.46 km2), of which 2.09 square miles (5.41 km2) is land and 0.02 square miles (0.05 km2) is water. 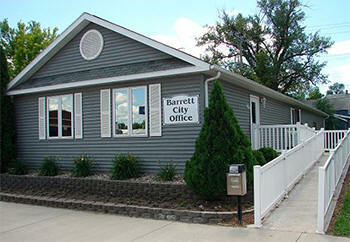 The town of Barrett wraps around the southwest side of Barrett Lake, which is formed by the Pomme de Terre River. As of the census of 2010, there were 415 people, 161 households, and 89 families residing in the city. The population density was 198.6 inhabitants per square mile (76.7/km2). There were 195 housing units at an average density of 93.3 per square mile (36.0/km2). The racial makeup of the city was 100.0% White. Hispanic or Latino of any race were 0.5% of the population. There were 161 households of which 29.8% had children under the age of 18 living with them, 40.4% were married couples living together, 8.1% had a female householder with no husband present, 6.8% had a male householder with no wife present, and 44.7% were non-families. 39.8% of all households were made up of individuals and 23% had someone living alone who was 65 years of age or older. The average household size was 2.32 and the average family size was 3.01. The median age in the city was 40.5 years. 24.3% of residents were under the age of 18; 6.1% were between the ages of 18 and 24; 21.9% were from 25 to 44; 18.6% were from 45 to 64; and 29.2% were 65 years of age or older. The gender makeup of the city was 49.6% male and 50.4% female. 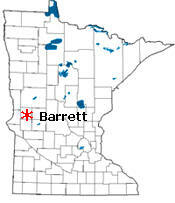 BARRETT, a city of Lien and Elk Lake Townships, platted in May 1887 and incorporated on December 11, 1889, and the adjoining Barrett Lake, commemorate Gen. Theodore Harvey Barrett, who after the Civil War owned and conducted an extensive farm in Grant and Stevens Counties, residing near Moose Island station in Stevens County. He was born in Orangeville, Wyoming County, N.Y., August 27, 1834, and died in this county at Herman, July 20, 1900. He settled in St. Cloud, Minn., 1856, was a captain in the Ninth Minnesota Regiment, 1862-63; was colonel of the 62d U.S. Colored Infantry, 1864-65, and was brevetted brigadier general, March 13, 1865. 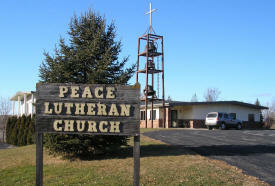 The post office was established as Fridhem, 1877-87, a Swedish term meaning "home of peace," changing to Barrett in 1887; the village had a station on the Minneapolis, St. Paul and Sault Ste. Marie Railroad (Soo Line). 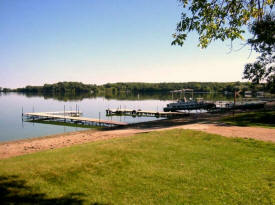 Barrett Sandy Beach is a public beach located on the east side of Barrett Lake on the outer edge of the City of Barrett. 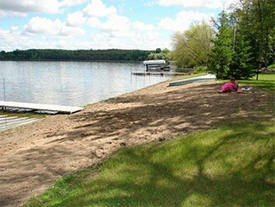 It is open for swimming, picnics, and family get togethers. It has bathrooms/changing rooms and a covered picnic shelter with picnic tables. Take a break and relax at the Barrett Sandy Beach! 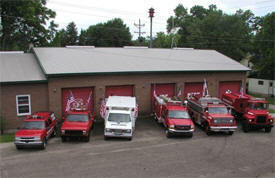 The Barrett Fire Department is an all volunteer fire department with 20 active members. The Department provides fire protection for the City of Barrett and also for Lien, Elk Lake and Erdahl Townships. 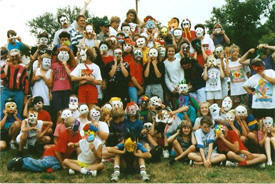 Prairie Fire Children's Theatre (or PFCT) is a professional touring theatre company based in Barrett, Minnesota and has been bringing a theatrical experience to communities across the upper Midwest since 1987. Prairie Fire tours a variety of original musical adaptations of classic tales.